Choose a state for more detailed information. We are currently working on adding information for as many states as possible. 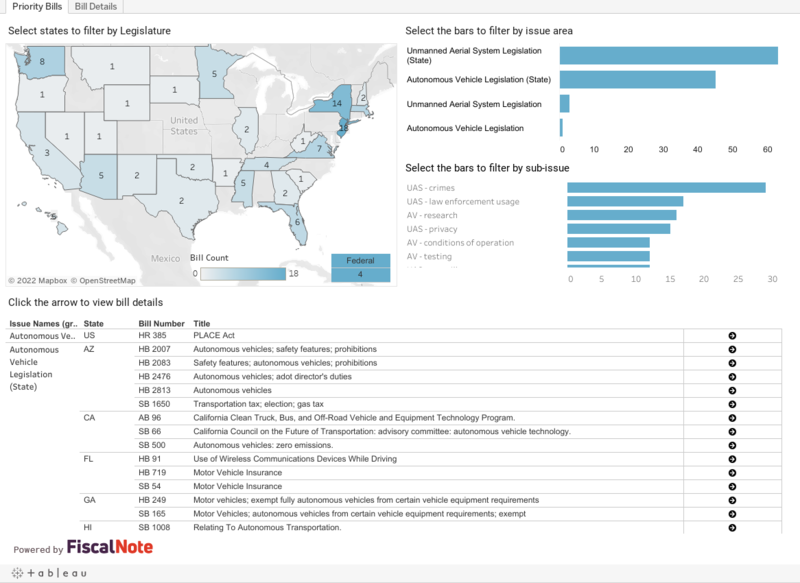 If information on your state is not yet available or you have relevant information on local use cases in your state that we can add to our resources, please contact tmcmahon@auvsi.org.